For fans heading to the Coliseum to watch the Los Angeles Rams on game day, Go Metro. Metro’s bus and rail lines will help get you past the traffic and parking hassles and straight to the action. To plan the trip that’s best for you, check the directions tabs or use the Trip Planner . TAP Pro Tip: Save time and skip the line! Load your TAP card with round-trip fare before the game and avoid long lines at TAP vending machines after the game. 4. 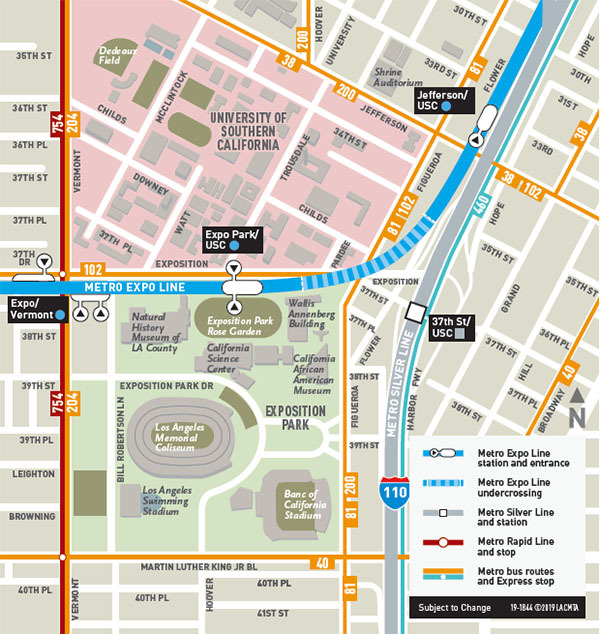 Exit at Expo Park/USC or Expo/Vermont Station and walk one block south. Note: The last southbound Pacific Surfliner train departs Union Station at 10:10 p.m. Also, view the schedule . Note: The last northbound Pacific Surfliner train departs Union Station at 7:15 p.m. Also, view the schedule . 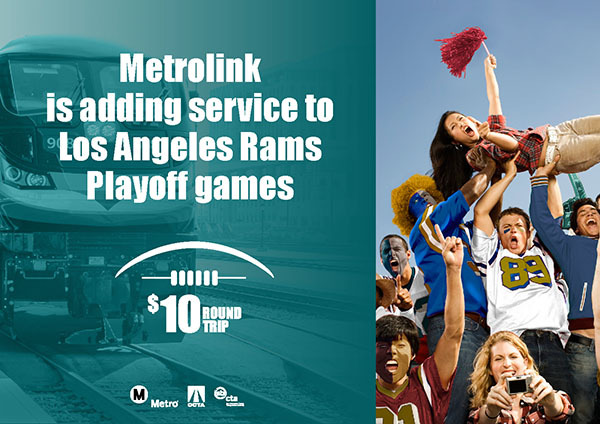 For more information on Metrolink’s added service to Los Angeles Rams games, visit https://www.metrolinktrains.com/football .